2019 Happy new year. Gold Numbers Design of greeting card of Falling Shiny Confetti. Gold Shining Pattern. Happy New Year Banner with 2018 Numbers on Bright Background. Vector illustration. 2019 Happy new year. Gold Shining Pattern. 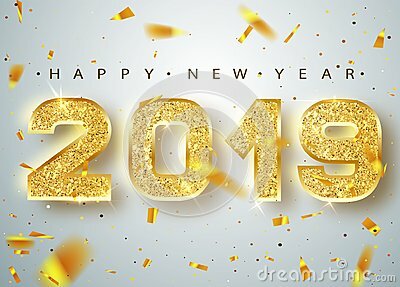 Happy New Year Banner with 2019 Numbers on red Background. Happy saint / st. patrick`s day. Vectorial/vector celebration design concept illustration. Calendar 2019 with cute cows.